The 50-hour Dialysis Technician Program provides students with the knowledge and skills needed to perform the duties required of Dialysis Technicians. 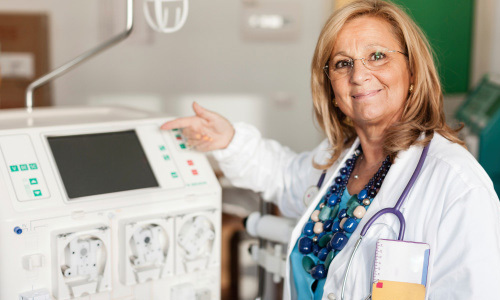 Under the supervision of physicians and registered nurses, Dialysis Technicians operate kidney dialysis machines, prepare dialyzer reprocessing and delivery systems as well as maintain and repair equipment. Furthermore, technicians work with patients during dialysis procedures and monitor and record vital signs as well as administer local anesthetics and drugs as needed. Dialysis Technicians must also assess patients for any complications that occur during the procedure and must be ready to take necessary emergency measures including administering oxygen or performing Basic Cardiopulmonary Resuscitation. Additionally, they may also be involved in the training of patients for at-home dialysis treatment and providing them with the emotional support they need for self-care. Click Here for the Online Dialysis Technician program.